One of the most important pieces of office equipment you will ever have is your office copier. Having a quality copier to manage your documents is paramount to not only the efficiency of your business, but the professional image your business portrays to your customers. 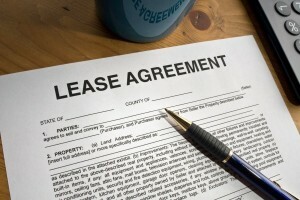 What do you do when you want to lease a copier in Fort Worth? Why lease a copier for your Fort Worth area business? Our copier leases give you the flexibility and reliability that you’re looking for. Not only that, a copier lease can really help your business to limit your cash flow. Professional grade copiers are a big investment. Wouldn’t having a predictable monthly fee you help set your mind at ease so that you can focus on other things? We will take the time to work with you to discern what your specific copier needs are and will find the lease terms that you are most comfortable with. We offer service packages to help keep your leased copier running smoothly. Do you need desktop printers or large document production machines? We pride ourselves in our ability to keep up-to-date with the latest technology, thus helping you keep up with your competitors. We are proud to offer Kyocera, Ricoh and Copystar copiers with lease options for any size business. When you are ready to lease a copier in Fort Worth, look no further and give us a call!